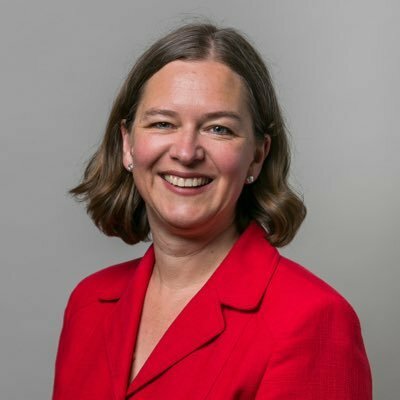 Labour members in Putney have chosen local councillor Fleur Anderson as their parliamentary candidate in the next election. The Wandsworth councillor’s success will be seen as a victory for those campaigning within Labour for a fresh Brexit referendum, as she is a firm ‘people’s vote’ supporter. Putney voted heavily to remain in the 2016 public vote. Anderson, who co-founded Wandsworth Welcomes Refugees, is now expected to step down as joint deputy leader of Wandsworth Labour. The new PPC was congratulated on Twitter by south London MPs Marsha de Cordova and Dr Rosena Allin-Khan. The result came as a surprise to many local activists. Bonnie Craven was understood to have been the Labour leadership’s preferred candidate. A trade union officer at TSSA with experience of running as an MP, Craven was backed by many frontbenchers including Angela Rayner, Richard Burgon, Barry Gardiner, Andrew Gwynne, plus Chris Williamson, Emma Dent-Coad and Owen Jones. The other shortlisted candidates, Wandsworth councillors Leonie Cooper and Candida Jones, are both ‘people’s vote’ supporters. Cooper was backed by Assembly Members such as Len Duvall and Florence Eshalomi, while co-deputy group leader Jones was endorsed by London mayor Sadiq Khan. Last year, former Lambeth mayor Neeraj Patil slashed Greening’s majority from 10,180 to 1,554 votes, making Putney a marginal seat and a key target for Labour at the next election.